Unstraight is back! 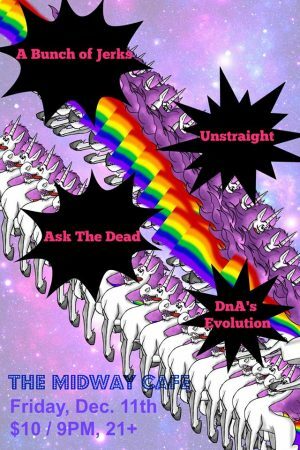 They’re playing The Midway Cafe on Friday December 11 with A Bunch of Jerks, Ask The Dead, and DnA’s Evolution. Go check them out.